The next-generation gevey sim has been blocked by Apple, while users now have to use previous-generation gevey sim to activate brand-new locked iPhones. Some members of the ‘locked iPhone users’ community could not activate iPhones on April 2. When inserting gevey sim, a warning occurred. Users could not use the common features of the phones such as making/receiving calls. At present, Vietnamese use White-SIM, or next-generation gevey sim, to activate locked iPhones. To activate the locked iPhone, one needs to have Gevey sim. It is not a SIM card provided by network operators, but is a small and thin microchip attached to simcards to ‘deceive’ iPhones and help activate the machine. It allows users to activate locked phones with ICCID code (Integrates Circuit Card Identifier). After the phone is activated, it does not need to be accompanied by gevey sim again. There is no need to activate again if users change simcards. According to Ha Minh Duc, a technician for a private iPhone shop in Cau Giay district, it’s now impossible to activate locked iPhone with White-SIM. To use locked iPhones, users need to update iPhones with the latest operating system version iOS 12.2 and use old gevey sim. The gevey sim must not be removed from the phone. The latest iOS version has a feature that discovers ‘fake international-version iPhones’. This was a big concern for users as it was difficult to differentiate locked iPhone with White-SIM and real international version iPhone. 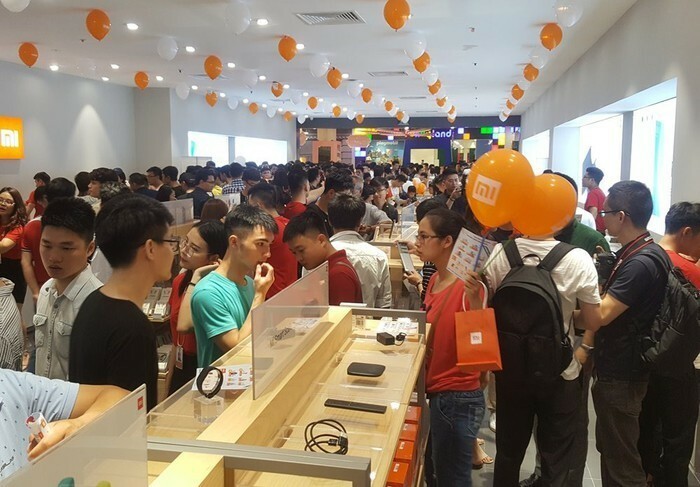 In July 2018, when White-SIM first turned up in the market, it produced a stir in the iPhone users’ community n Vietnam. As consumers believed the White-SIM was the key to all the locks, they rushed to buy locked iPhones which had lower selling prices than genuine iPhones distributed by authorized resellers. As the demand increased sharply, the price of locked iPhones soared. However, Vietnamese users are turning their backs to locked iPhones because of high risks. Apple continually updates and corrects new security flaws, thus neutralizing gevey sim. Many private iPhone shops have stopped trading the products. Quang Trung from a private shop on Cau Giay street in Hanoi confirmed that he stopped selling locked iPhones one year ago as the demand was unstable. Users have shifted to use international version iPhones as the price gap between locked iPhones and international version iPhones has narrowed, and they feel more secure about the quality when buying products from official distributors.